Excellent investment potential. Multiple tenancies with multi-year NNN contracts. Two buildings, parking lot, security system. Well maintained brick exterior (siding in back) with copper awning and attractive landscaping. Excellent visibility in the heart of Roscoe. Gun shop in photos is no longer tenant; new tenant signed to start lease on 10/01/18. 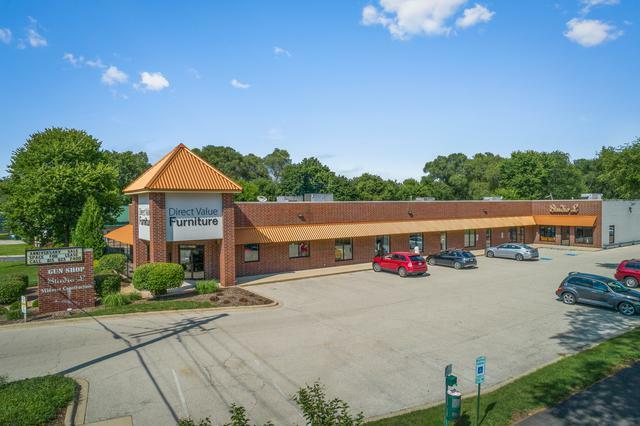 Current tenancy includes salon, storage, furniture store. Anticipated tenancy of holistic health center. Great for commercial investor as well as owner/investor. Listing provided courtesy of Schulenburg Realty, Inc.